100% natural and enriched with plant extracts (active ingredients) that stimulate the body's capacity to eliminate water and toxins, Lipodrainage is a drink which is ideal to prepare your body for an effective slimming programme. LipoDrainage enhances the Ultrasonolipolysis® and Data Vein treatments, enabling fats and toxins to be drained off from the lymphatic system. NeuSrim is a revolutionary and clinically tested French formula that effectively breaks down and burns fats faster, reduces cellulite and detoxifies the whole body. You will feel lighter, be more confident and improved in overall well-being. NeuSrim enhances the body contouring and firming treatments and helps you to get back to flat stomack and the curves you dream for. Ceretine® ’s ingredients provide strong anti-aging protection with alpha-lipoic acid, plus 15 other powerful nutrients to help you look and feel better younger. This compound is completely natural; free of yeast, wheat, starch and animal derivatives. Ceretine® contains Beta Carotene (Vitamin A), d’Alpha Tocopherol (Vitamin E), Ascorbic Acid (Vitamin C), Fish Protein Collagen, Green Tea extract, Pine Bark extract, Alpha Lipoic Acid, Coenzyme Q-10, Ginkgo Biloba, Grape Seed extract, Bilberry extract, Zinc, Lycopene, Vitamin B-1, Vitamin B-12, Folic Acid. 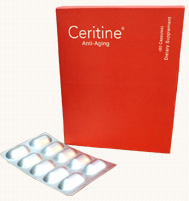 Ceritine® is clinically proved effective compound tackles and absorbs the free radicals particularly harmful to our skin. It can enhance the antioxidant effects of Vitamins E and C, and protects the free radicals damage to the skin cell, restore youthful complexion, flexibility and keep skin shine. Alpha-lipoic acid and Lycopene targets and inhibits the typical symptoms associated with the aging process by playing a vital role in the cells’ energy production. Our Breast Gel consists of lots of potent natural ingredients eg. Pueraria Mirifica from Japan which contains Phytoestrogen, Soy Protein, Tocopheryl Acetate, Collagen, Hyaluronic Acid and many more. This product helps enlarge and firm your bust. Moreover, it increases an immune system to skin cells, your skin will be smooth and soft healthily. You can feet the difference within 2-4 weeks of continuous application (twice daily applications). The Firming Gel consists of Fucus Vesiculosus, Hyaluronic Acid, Bioflavonoids, Carnitine, Caffeine, Glycerin, etc. The product helps tone up the skin (makes the skin firm and smooth), reduces an accumulation of Cellulite. This is very good to use after Slimming treatments. You can feel the firmness within 2-4 weeks of continuous application (twice daily applications). This is an ideal product which contains active ingredients which have the properties of fat metabolism and reducing fat deposit. 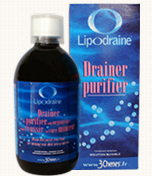 This is very good to use during having Slimming treatments or maintenance phase. You can notice centimeter loss within 1-2 weeks.